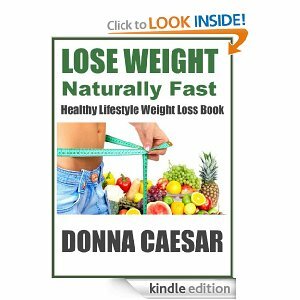 This week our guest post is from Donna Caesar is a wellness writer. We are very excited to have her and her tips on weight loss! 1. Realize that getting your mind prepared for losing weight or starting an exercise program may take a few weeks. Most likely you have dreaded working out and losing weight for a long time. Chances are you will not change your mind over night, but you can change it in a few short weeks. 2. Start using daily affirmations to motivate yourself and get your mindset ready. In a way, you need to start convincing yourself that you will enjoy losing weight, it will be fun and you can do it. You may also have to get completely “real” with yourself so you will start. Do not let that translate into guilt, but rather determination to improve your health. You really are worth taking care of yourself and getting in better shape. 3. Accept and prepare for setbacks. So many people fail or give up because they were not expecting setbacks to occur and they were not prepared for them. Keep telling yourself that they can happen and have a plan to deal with them when they do. You can choose to work out harder, cut back on your food intake or use stronger affirmations during these times. 4. Start visualizing the new you. You need to get a clear image of how you want to look and feel. If you keep seeing yourself as overweight, that is how you will remain. You do not have to visualize yourself as a skinny person, but you do need to see a smaller version of you. Also, do not forget to add emotions into your visualizations. Imagine how you will feel when the weight is off. Imagine activities you will do or clothes you will wear. This will help make it stick in your mind. 5. Avoid looking in the mirror and stepping on the scale frequently. These two things can sabotage your weight loss quicker than anything. Of course you need to look in the mirror if you wear make-up or to brush your hair. Only look at your face, get the job done and then get away from the mirror. Looking at the numbers on the scale does not do much for your self-esteem either. Instead of worrying about the pounds, start focusing on how you want to feel or how much better you are starting to feel. 6. Prepare yourself for not feeling great in the beginning. Do not listen to the fitness gurus who tell you how much better you will feel when you start exercising. In most cases it simply is not true. It will take time to feel better. In fact, you will most likely feel worse and more tired when you first begin a new exercise regime. Get ready for it and do it anyway. You should start feeling better within a month, but do not get discouraged if it does not happen in the first two weeks. Start preparing your weight loss mindset before starting an exercise or weight loss program if you want effective weight loss. You will stay motivated and there is less chance you will abandon your weight loss program within the first week. Give it a try. It is worth the effort.